Two years ago, we started counting how many Sri Lankan agencies were involved in trade facilitation processes such as issuing permits and managing the movement of goods in and out of the country. We counted at least 22 agencies in this assessment, and today, the Department of Commerce estimates that number at least 34 agencies are involved in issuing permits or publishing regulations that affect trade. We know trade is critical to Sri Lanka’s future and that there are strong links between trade, economic growth and poverty reduction. However, the trading community reports a lack of transparency, confusion around rules and regulations, poor coordination between various ministries and a dearth of critical infrastructure—you can see why trade has suffered in Sri Lanka. When the World Bank evaluates a country’s performance in critical rankings like Doing Business, the ease of trading across borders is one of the benchmarks we consider. In this, and in other lists like the Logistics Performance Index, Sri Lanka is underperforming compared with its potential. Here, the average trade transaction involves over 30 different parties with different objectives, incentives, competence and constituencies they answer to, and up to 200 data elements, many of which are repeated multiple times. This environment constrains the growth of Sri Lanka’s private sector, especially SMEs. But now for the good news. By ratifying the World Trade Organisation Trade Facilitation Agreement, Sri Lanka has signalled its determination to intensify reform efforts. Sri Lanka experienced strong growth at the end of its 26-year conflict. This was to be expected as post-war reconstruction tends to bring new hope and energy to a country. And Sri Lanka has done well—5 percent growth is nothing to scoff at. For a long time, the public-sector has been pouring funds into everything from infrastructure to healthcare. Unfortunately, Sri Lanka’s public sector is facing serious budget constraints. The island’s tax to growth domestic product (GDP) ratio is one of the lowest in the world, falling from 24.2% in 1978 to 10.1% in 2014. Sri Lanka should look for more sustainable sources of growth. As in many other countries, the answer lies with the private sector. Over the past decades, Sri Lanka has lost its trade competitiveness. As illustrated in the graph below, Sri Lanka outperformed Vietnam in the early 1990s on how much of its trade contributed to its growth domestic product. Vietnam has now overtaken Sri Lanka where trade has been harmed by high tariffs and para-tariffs and trade interventions on agriculture. Sri Lanka dropped down by 14 notches to the 85th position out of 137 in the recent Global Competitiveness Index. Sri Lanka’s private sector is ailing. Sri Lankan companies are entrepreneurial and the country’s young people are smart, inquisitive, and dynamic. Yet, this does not translate into a vibrant private sector. Instead, public enterprises are the ones carrying the whole weight of development in this country. The question is, why is the private sector not shouldering its burden of growth? From the chart above, you can see how difficult it is to set up and operate a business in Sri Lanka. From paying taxes to enforcing contracts to registering property, entrepreneurs have the deck stacked against them. Trading across borders is particularly challenging for Sri Lankan businesses. Trade facilitation is inadequate to the point of stunting growth and linkages to regional value chains. The chart explains just why Sri Lanka is considered one of the hardest countries in the world to run a trading business. Compare it to Singapore–you could even import a live tiger there without a problem. Sri Lanka, you have a right to know! 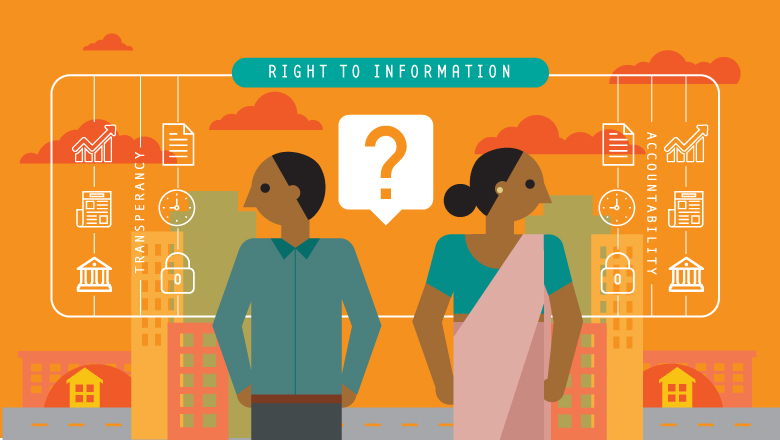 Sri Lanka's Right to Information act (RTI) can help citizens hold governments accountable and encourage citizens to participate actively in their democracy. Today, the world marks the International Day for the Universal Access to Information. Fittingly, we in Sri Lanka, celebrate 7 months since the Right to Information (RTI) Bill was enacted. The product of a slow and steady reform process, RTI is a milestone in Sri Lanka’s history. Yet how many citizens know about its benefits? As open access to information takes international center stage today, I’m hoping Sri Lanka’s Right to Information Bill, one of the world’s most comprehensive, will get the attention it deserves. There is indeed much to celebrate. Civil society organizations and private citizens are putting Sri Lanka’s RTI to the test. Diverse requests have been filed, from questions relating to how investments are made for the Employees’ Provident Fund (EPF) to how soil and sand mining permits have been allotted in districts like Gampaha. Interestingly, people living in rural areas are more aware -- and vocal -- of their rights to know than people in urban areas. The government is making steady progress. In the last six months, more than 3,000 information officers have been recruited. An independent RTI Commission enforces compliance and acts on those who do not follow the law. If, for example, an information officer refuses to release information pertaining to a citizen’s life, they must provide a valid reason or face legal penalties. In the next few years, the Sri Lankan bureaucracy faces the huge task of revamping its record management, including its land registration system. This reform is an opportunity to live up to RTI’s ambitions of open governance and help citizens access land title information and records that give them a legal title to their property. That regional cooperation in South Asia is lower than optimal levels is well accepted. It is usually ascribed to – the asymmetry in size between India and the rest, conflicts and historical political tensions, a trust deficit, limited transport connectivity, and onerous logistics, among many other factors. Deepening regional integration requires sufficient policy-relevant analytical work on the costs and benefits of both intra-regional trade and investment. An effective cross-border network of young professionals can contribute to fresh thinking on emerging economic cooperation issues in South Asia. Against this background, the World Bank Group sponsored a competitive request for proposals. Awardees from Bangladesh, India, and Pakistan, after being actively mentored by seasoned World Bank staff over a period of two years, convened in Washington DC to present their new and exciting research. Research areas included regional value chains, production sharing and the impact assessment of alternative preferential trade agreements in the region. Mahfuz Kabir, Acting Research Director, Bangladesh Institute of International and Strategic Studies and Surendar Singh, Policy Analyst, Consumer Unity Trust Society (CUTS International) presented their research: Of Streams and Tides, India-Bangladesh Value Chains in Textiles and Clothing (T&C). They focus on how to tackle three main trade barriers for T&C: a) high tariffs for selected, but important goods for the industries of both countries; b) inefficient customs procedures and c) divergent criteria for rules of origin classification. Sreerupa Sengupta, Ph.D. Scholar at Centre for Economic Studies and Planning, Jawaharlal Nehru University, New Delhi discussed Trade Cooperation and Production Sharing in South Asia – An Indian Perspective. Reviewing the pattern of Indian exports and imports in the last twenty years, her research focuses on comparing the Global Value Chain (GVC) participation rate of India with East Asian and ASEAN economies. Barriers to higher participation include a) lack of openness in the FDI sector; b) lack of adequate port infrastructure, and long port dwell times; and c) lack of Mutual Recognition Agreements (MRAs). Aamir Khan, Assistant Professor, Department of Management Sciences, COMSATS Institute of Information Technology, Islamabad presented his work on Economy Wide Impact of Regional Integration in South Asia - Options for Pakistan. His research analyzes the reasons for Pakistan not being able to take full advantage of its Free Trade Agreement (FTA) with China, and finds that the granting of ASEAN-type concessions to Pakistan in its FTA with China would be more beneficial than the current FTA arrangement. The work also draws lessons for FTAs that are currently being negotiated by South Asian countries. At the launch of the Sri Lanka Development Update (SLDU), our Twitter chat #SLDU2017: Environmental Benefits of Economic Management set out to explore how Sri Lanka could meet the twin challenges of increasing its physical and financial resilience. The panel comprised experts from the World Bank - Country Director for Sri Lanka and the Maldives, Idah Pswarayi-Riddihough; Senior Economist Ralph van Doorn and senior environmental specialist Darshani De Silva – and Kanchana Wickramasinghe, a research economist in the Institute of Policy Studies. Together, they unpacked the SLDU, discussed its key findings and fielded questions from across the region around its main themes. The bi-annual report, notes key economic developments over the preceding months, placing them in a longer term and global perspective; in the Special Focus section, it explores topics of particular policy significance to Sri Lanka. Ralph started with the idea that Sri Lanka faces a window of opportunity during which key reforms could transform the country and its economy. He noted that Sri Lanka’s position in the global economy improved its global growth prospects, as well as that of its key export partners. Low commodity prices and the restoration of the GSP+ preferential trade arrangement with the EU had also combined to improve the outlook for the Sri Lankan economy. The panel delved into how natural disasters and extreme weather events posed a threat to Sri Lanka’s growing economy. In the short-term the damage was clear and serious, with losses amounting to several billions a year, as Idah noted in her blog. During the chat, she emphasised how Sri Lanka needed to be prepared for future disasters or it would cost the country enormously. With the chat underway, questions poured in from an online audience who were interested in diverse issues – from managing Sri Lanka’s ongoing drought and its impact on the Northern Province to what insights the SLDU had to offer other countries in the region such as India. When in the eye of a storm…. This year, yet again, flooding caused by heavy monsoon rains came and receded. Meanwhile, this year alone, more than one million people have been hard hit by the worst drought in 40 years. The media, with few exceptions, have moved on to other topics and a sense of calm pervades. We are in the eye of the storm -- that misleading lull before mother nature unleashes her fury once again. In Sri Lanka alone, costs from natural disasters, losses from damage to housing, infrastructure, agriculture, and from relief are estimated at LKR 50 billion (approx. USD 327 million). The highest annual expected losses are from floods (LKR 32 billion), cyclones or high winds (LKR 11 billion), droughts (LKR 5.2 billion) and landslides (LKR 1.8 billion). This is equivalent to 0.4 percent of GDP or 2.1 percent of government expenditure. (#SLDU2017). Floods and landslides in May 2016 caused damages amounting to US$572 million. These numbers do not paint the full picture of impact for those most affected, who lost loved ones, irreplaceable belongings, or livestock and more so for those who are back to square one on the socio-economic ladder. Even more alarming, these numbers are likely to rise as droughts and floods triggered by climate change will become more frequent and severe. And the brief respite in between will only get shorter, leaving less time to prepare for the hard days to come. Therefore, better planning is even more necessary. Sri Lanka, like many other countries has started to invest in data that highlights areas at risk, and early warning systems to ensure that people move to safer locations with speed and effect. Experience demonstrates that the eye of the storm is the time to look to the future, ready up citizens and institutions in case of extreme weather. Now is the time to double down on preparing national plans to respond to disasters and build resilience. It’s the time to test our systems and get all citizens familiar with emergency drills. But, more importantly, we need to build back better and stronger. In drought-affected areas, we can’t wait for the rains and revert to the same old farming practices. It’s time to innovate and stock up on critical supplies and be prepared when a disaster hits. It’s the time to plan for better shelters that are safe and where people can store their hard-earned possessions. Mobilizing and empowering communities is essential. But to do this, we must know who is vulnerable – and whether they should stay or move. Saving lives is first priority, no doubt. Second, we should also have the necessary systems and equipment to respond with speed and effect in times of disasters. Third, a plan must be in place to help affected families without much delay. Fortunately, many ongoing initiatives aim to do just that. Sri Lankan Winners and exciting news: #StoriesfromLKA photo contest! World Bank Sri Lanka launched an online campaign titled #StoriesfromLKA during the month of June celebrating World Environment day “Connecting People to Nature”. The campaign included online interactions to learn about World Bank operations related to the environment and a photo competition to appreciate the natural beauty of Sri Lanka that needs to be preserved while Sri Lanka pursues a development drive. Join us for #SLDU2017: Economic Benefits of Environment Management. This Twitter chat will be hosted by World Bank South Asia (@WorldBankSAsia) in collaboration with the Institute for Policy Studies IPS (@TalkEconomicsSL). The chat will explore the findings of the Sri Lanka Development Update (SLDU), published this June. I look forward to engaging with you together with a panel from different areas of expertise. We’ll be discussing priority reforms with a focus on how Sri Lanka can better manage both its business and natural environment to bolster economic growth and sustain development. In recent years, natural disasters have left parts of this island nation devastated, exacting a significant economic, fiscal and social toll. The SLDU identifies other challenges as well, pressing the case for fiscal consolidation, a new growth model, improved governance and programs to buffer against risk. The latest update cautions against adopting piecemeal solutions, noting that the challenges facing the island nation are inter-linked and require a comprehensive and coordinated reform approach. In the end, we also hope this Twitter chat will allow us to learn from you as we begin our preparations for the next SLDU. Never taken part in a Twitter chat before? It’s simple. Just think of this as an online Q&A. @WorldBankSAsia will moderate the discussion, posing questions to panellists. You are encouraged to join in too! Follow along, retweet and engage. If you have a question, simply tweet it out using the hashtag #SLDU2017. We’ll see it and try to get you some answers. What were your favorite entries from the Sri Lanka environment photo contest? Inspired by Sri Lanka's incredible natural beauty, the World Bank organized a photo contest starting on June 21st aimed at showcasing the many talented photographers among us as well as celebrating the rich flora and fauna of Sri Lanka. We received an overwhelming response from many talented photographers, both professional and amateur, who sent us hundreds of awe-inspiring entries. After the contest ended on June 30th, 167 entries were shortlisted. We asked you which photos were your favorites and you voted until 6PM Monday on your selections through social media. Without further ado, here are the top 10 based on your choices! Let us know what you think in the comments below and don't forget to follow World Bank Sri Lanka on Facebook as well as the World Bank's Country Director for Sri Lanka and Maldives, @Idah_WB on Twitter.